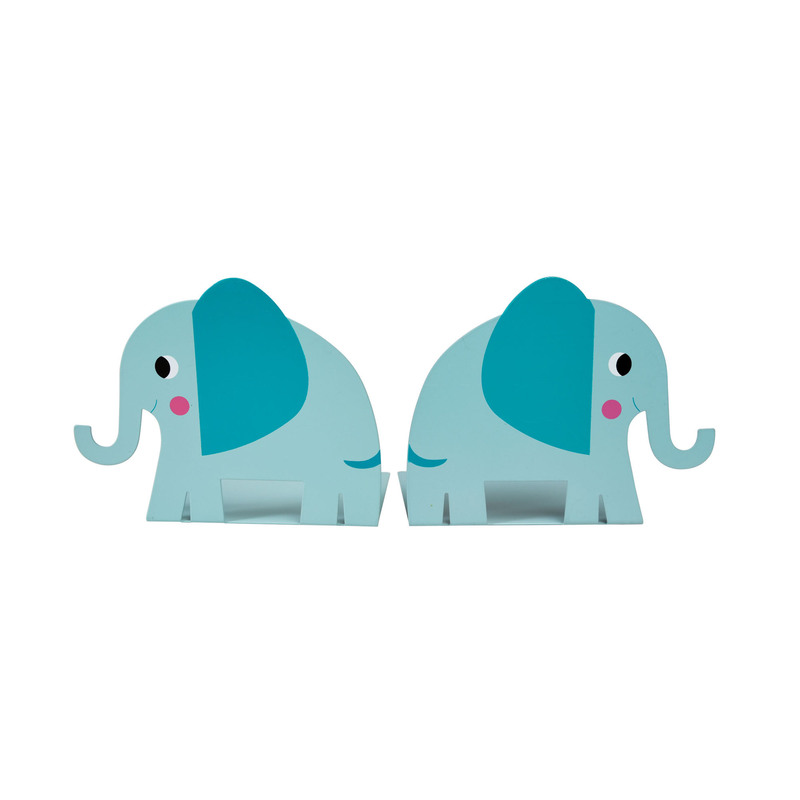 Keep all your favourite books together with these cute elephant bookends. In a bright blue and cute elephant design. These Elvis the elephant bookends are a stylish addition to any room and help keep all your books looking neat and tidy. Each bookend is weighted to hold the books, and each has a protected pad to protect surfaces. Perfect gift for elephant lovers.